The word Permaculture came from expression “permanent agriculture“. 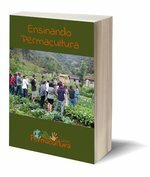 Nowadays, permaculture is a wide concept looking for a “permanent culture” where people aim to live with nature in harmony. It is to hard define permaculture in few words, for this reason we adopt the more classical definition proposed by Bill Mollison and David Holmgren, co-founders of permaculture conception. Permaculture is a design system thought to create productive and sustainable human environments in equilibrium to the nature.